Growing Tarragon Herb is easy! 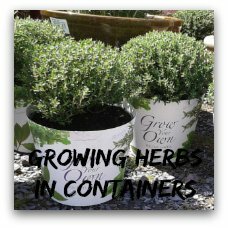 Grow this culinary herb in containers or in the ground. 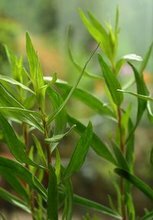 Learn about the difference between a French and a Russian Tarragon plant and make the right choice for you! Be careful when buying Tarragon plants because there are two varieties of it with quite different flavours. 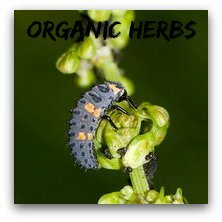 (Artemisia dracunculus) is more aromatic but less cold tolerant. Often the flowers don't open and the plants won't produce seeds particularly if summer temperatures are low. 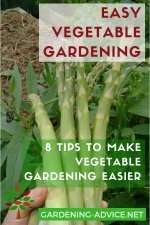 It can only be propagated from root cuttings and runners. Take some of the runners and put them into pots during September. Over-winter the pots inside near a bright window. Don't be tempted to harvest too soon from the young plants. Give them time to establish. Come spring you will have strong new plants that will keep you supplied for the season. Take potted plants indoors if you live in a cold area. Keep them in a bright place so you can keep harvesting fresh Tarragon leaves. (A. dracunculus ssp. dracunculoides) is less aromatic but much more tolerant to frost and cold weather. 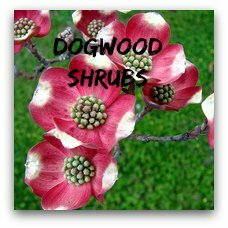 This variety is also more vigorous and can grow up to 5 ft high. 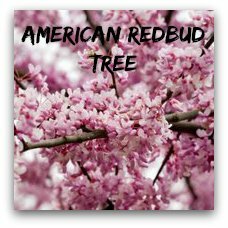 You can easily propagate this herb from seeds in the spring. 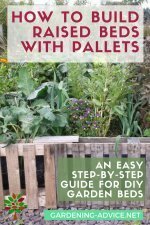 Sow the seeds inside in the spring and transplant the well rooted seedlings into large pots or into the ground. 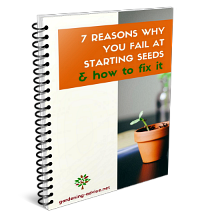 I explain propagation from seeds here. 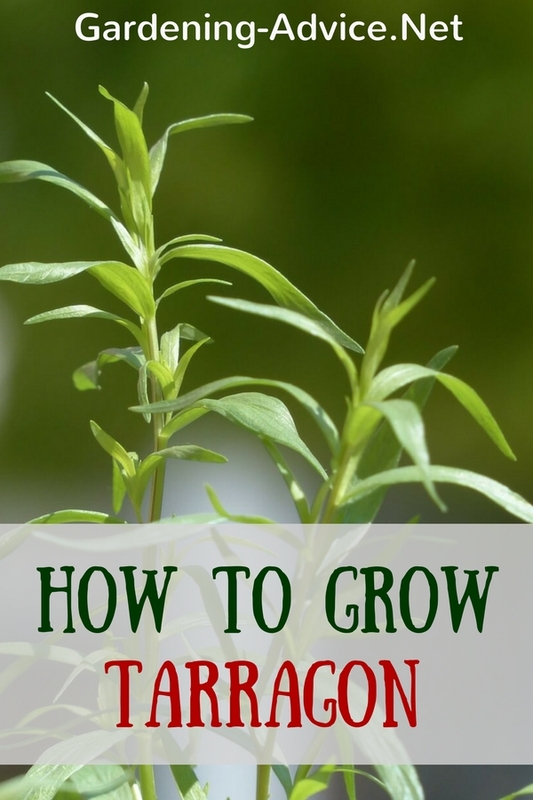 Tarragon is easy to grow. It likes a bright spot with good drainage and fertile soil. Cut plants back to ground level in the autumn. Protect the plants from heavy frosts by covering them up with leaves or branches. Plants last usually 4-5 years before they go tired. Replace them in time with a new one. Choose large planters for Tarragon. The plants grow big and need a lot of room. Place the pots in a very bright place. In front of a sunny wall is the perfect place for a Tarragon plant. Tarragon needs more fertilizer than most other herbs. Feed them every 10 days during the growing season with some liquid organic plant food. Water the pots liberally during dry weather. 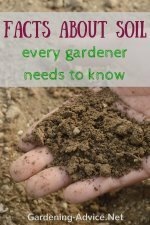 Make sure that the soil is never waterlogged or too wet. Tarragon herb is used for salads, fish, chicken, soups and fines herbes (French herb mixture). It is best added after cooking. If you add it too soon the flavour is going to be destroyed. Tarragon is also great to flavour vinegar. Buy a good cider or wine vinegar for this. You can harvest Tarragon leaves nearly all year round from plants grown indoors. The plants will go tired much quicker than plants grown in the ground and need to be replaced in the spring. Plants grown outside will die off for the winter. The leaves that are cut off in the autumn can be used to flavour vinegar. Freeze any surplus leaves in ice cube trays or in freezer bags. 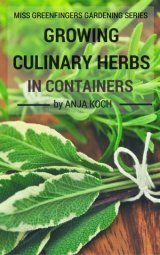 Click here to learn about freezing and preserving herbs.